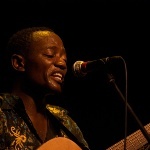 Ashimba is a Tanzanian singer-songwriter and guitarist based in Bagamoyo. 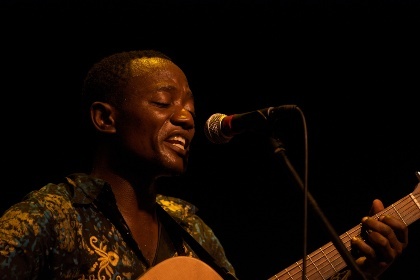 Ashimba has a unique style that combines his roots in the East African traditional music, his mastering of different Tanzanian languages and a very playful voice. The essence of the songs is strong African melodies and lyrics with roots in the Tanzanian music tradition. Acoustically the music of Ashimba stands out and will enchant the audience on its own. However, the producer of the debut album, Jakob Poll, with his electronic and curious approach to world music has added the songs a captivating electronic and contemporary sound. "In my opinion this production lifts the songs up to a more dramatic and dance friendly level. We describe the style as electronic Afro pop" says producer Jakob Poll. The lyrics are telling stories about life as a young man, it tells stories of Tanzanian tradition, of the problems of Tanzania and of family or women loved or lost. "I write lyrics about people and about life in Africa, about everyday problems as well as joy and happiness. People is what interests me..." explains Ashimba. Expressed through the unique and powerful voice of Ashimba and his guitar, the songs can't help going straight to your heart, whether you understand the lyrics or not.